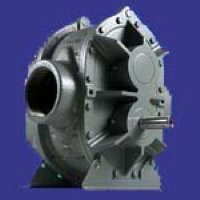 ROOTS manufactures a full line of low-pressure air and gas handling blowers, exhausters and systems. ROOTS has been in continuous operation since 1854 when the Roots brothers discovered the principle behind the rotary lobe blower. Since 1854 ROOTS has developed extensive experience with providing solutions for a wide range of applications. Browse these categories under "Roots Blowers"